Marion Hopfgartner is a Speaker, Author, Education and Life Transformer and Entrepreneur. Her business career started at the age of 19, after her degree as an educator and preschool teacher – when she led a Day-Care-Institution. Very soon, she moved up the career in Personnel Management working in a social Non-for-Profit Association that had 1400 employees. This was possible by having a fantastic Mentor on her side, who guided her step by step. Already at the age of 22, she was a Board Member of a Non-for-Profit LLC. As one of the Board Members – she focused on Personnel Management and on Social Projects. At that time, she also started her career as an Adult-Trainer and Speaker – working together with a local Institution in holistic health care. At the age of 30 – she left these businesses behind and started to work internationally. This Mentor invited her to build up an International Network of Organizations in the field of Alternative Health Care and Training. Together with a team, they developed the training material, training schedules organizational structure, standardizing procedures, they set up operating Boards and trained more than 350 Instructors internationally. For more than 7 years she worked hand in hand to grow these international organizations. 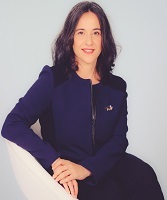 As her Personal Assistant – Marion Hopfgartner also learned all basic needs to establish not only a small business but an International Network of Organizations. Since her Coach died in March 2016 and the different Boards took over the leading function of the individual organizations – she now focuses back on growing her own Companies. In a speed time of 4 months, she got them set for International Work and grew an incredibly successful team. While working in this network of organizations – she constantly received requests to mentor educational institutions. As consultant and coach, she upgraded many in different areas, restructured their way of operation, but also started to implement modern education in some of these institutions. While she was heavily focused on working with her Coach – she still also established many successes in this area. Now, together with her team in her Educational Consultancy focus more and more on consulting educational institutions and small businesses all over the world. They also focus on creating meaningful new ways in Training, Teaching and Modern Education. 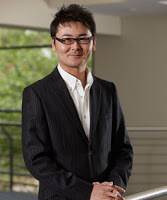 Dr Hiroshi Hasegawa (Graduate Diploma in Education, Master of Education Studies (LOTE), Master of Education (TESOL) and a PhD) is the Japanese Course Coordinator and a senior lecturer in the School of Education at Curtin University in Western Australia. He co-supervises post-graduate students and teaches various undergraduate units pertaining to Japanese (as a second language) and contemporary Japanese culture. He has extensive teaching experiences from primary to tertiary levels in Australia. Dr Hasegawa’s main research interests include pedagogies of second/foreign language education, ethics in education and the enhancement of education through ICT-led educational reform. He also has ample experience with coordinating and co-operating in the organization of domestic/international conferences, while contributing as a member of various types and levels of panels and committees, including the Tertiary Entrance Examination in Western Australia and several international academic research journals.